There is a huge opportunity in satiating the hunger pangs of Indian consumers, believes Shripad Nadkarni, Founder, Fingerlix. So, since 2015 his food start-up has been serving ready-to-cook offerings like multigrain idli batters and batata-wada parathas in Mumbai, followed by Pune and Delhi. This January, the erstwhile marketing head of Coca-Cola India expanded the platter by taking Fingerlix to Bangalore, Chennai and Hyderabad. "We've seen terrific growth. We're in six cities now and the response has been incredible," he says. Naturally, Nadkarni needed to fund these expansions. So, after diluting his stake with a Series A2 round of venture capital last October, he turned to venture debt this March to finance growth and preserve his equity while extending the runway till the next equity fund raising. "Venture debt is a great instrument as a bridge without diluting equity," says Nadkarni. Venture debt is an asset class that's coming of age in the Indian start-up ecosystem with several ventures - from BigBasket and Yatra to Pepperfry and Ninjacart - availing of it in recent years. Nearly $150 million or around Rs1,000 crore of venture debt was disbursed to start-ups deprived of traditional bank finance in calendar 2017. This is small compared to the larger venture capital market. Nevertheless, the pace is set to accelerate with at least four new venture debt funds expected to raise over Rs2,500 crore capital over the next year or so. Some Rs1,500 crore of debt capital is expected to be disbursed to start-ups over the coming year. Venture debt essentially works like traditional bank loans except that start-ups aren't profitable and venture debt firms dont demand collateral. The venture debt though comes with a fixed coupon and tenure and companies have to repay the principal and interest on a monthly basis after an initial moratorium. Fingerlix's Rs8.5 crore venture debt comes from the newly minted venture debt fund Alteria Capital Advisors, founded by Ajay Hattangdi and Vinod Murali. As top executives of India's first venture debt firm, SVB India Finance (rechristened InnoVen Capital India in 2015), the duo have virtually seeded venture debt as an asset class in India over the past 10 years, doing a cumulative Rs1,500 crore of deals until March 2017. Now, they're ramping up by launching the country's largest venture debt fund with Alteria, a Rs1,000 crore fund. Just four months after launching the fund - it includes a greenshoe option of Rs200 crore - last October, Hattangdi and Murali achieved a first close of Rs356 crore in early March bringing in anchor investors like IndusInd Bank and a large family office foundation. Plus, they raised Rs100 crore from the Small Industries Development Bank of India (Sidbi) in April. Apart from Fingerlix, Alteria has already extended Rs30 crore venture debt to Sachin Tendulkar-backed celebrity fashion firm, Universal Sportsbiz. And there are more deals in the pipeline. which is a function of the venture equity market, to grow to $300-$350 million over the next two years. Alteria Capital isn't the only new fund venturing in to capture this growth. Homegrown venture equity capital firms IvyCap Ventures Advisors and Unicorn India Ventures have also diversified to launch their own venture debt funds. And incumbents like market leader InnoVen Capital India - it was rechristened after Singapore-based Temasek and United Overseas Bank acquired SVB India Finance for $45million in 2015 - and Trifecta Capital Advisors, the country's first venture debt provider structured as an alternative investment fund (AIF), are ramping up. "Venture debt has been around in the US for 30-35 years and many leading start-ups like Facebook, Uber, Airbnb and Dropbox have used it. In India, venture debt has only started coming into the mainstream in the last two-three years, but the market is growing," says Ashish Sharma, CEO, InnoVen Capital India. The country's oldest venture debt player has disbursed over $300 million in 200-plus transactions in 115 companies from inception till the end of 2017. It entered China last year and is also present in South-east Asia. Sharma estimates that the Indian venture debt market grew by 12-15 per cent in 2017. In comparison, InnoVen's loan book grew 25 per cent - it disbursed $75 million (around Rs477 crore) and committed another $10 million, including the country's biggest venture debt deal of Rs100 crore to Yatra, last year. Sharma hopes to grow "double digit, if there's a favourable funding environment in 2018". What's more, apart from providing venture debt under its existing non-deposit-taking NBFC structure, he plans to file for an AIF fund with the Securities and Exchange Board of India (SEBI) soon. While NBFCs are regulated by the Reserve Bank of India, have permanent capital and can leverage their equity to raise funds, SEBI has classified venture debt funds under the AIF Category 2, and regulates them accordingly. AIFs don't employ permanent capital - Alteria's fund has a nine-year duration, for instance, at the end of which it must distribute its corpus to investors. It also allows for easier exits to investors and is better suited for housing hybrid equity instruments. 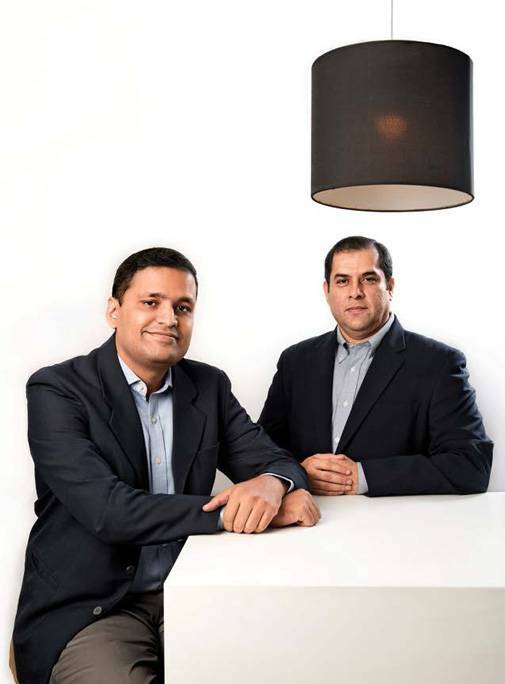 Meanwhile, at Trifecta Capital Advisors, Founding Partner Rahul Khanna is not only wrapping up the final close of its first Rs500 crore fund but will also start raising a second fund of around Rs750 crore by June-July, which will accommodate some dollar capital. The Gurugram-headquartered fund, which opened offices in Mumbai and Bengaluru recently, has committed about Rs400 crore of venture debt to nearly 30 start-ups since its first close in September 2015. Around Rs75-80 crore of this has already come back through repayments. Venture debt funds cycle their corpus around two times during their lifetime. "We've built a better understanding of venture debt, and of when to use it and when not to use it, in the industry. 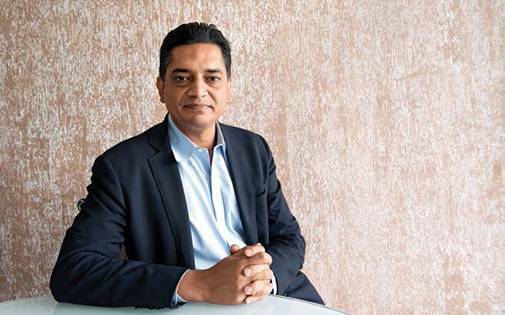 A lot of our focus has been in creating meaningful differentiation because just showing up with money is no longer enough," says Khanna, who was a managing director at Canaan Partners India before he founded Trifecta in 2014 with Nilesh Kothari, Head, Mergers & Acquisition, Accenture India. 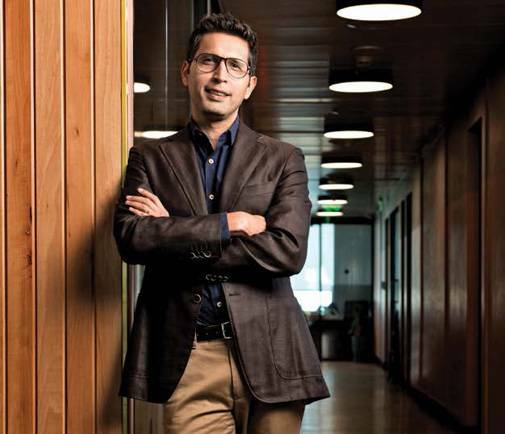 Vikram Gupta, Founder and Managing Partner, IvyCap Ventures Advisors, a venture capital fund backed by the IIT Alumni Trust, will also leverage his VC experience with IvyCaps new Rs500 crore venture debt fund. Gupta expects to achieve a first close of Rs200-300 crore within six months. "We come with a VC mindset so we can evaluate a company from the equity perspective and give debt on top of it. Plus, we have enormous resources available because of the IIT connection. The combination should work well for us," says Gupta. Anil Joshi, Founder and Managing Partner, Unicorn India Ventures, who has seen the early stage ecosystem evolve since 2003, believes the demand for venture debt exceeds supply. "The ecosystem is highly under-served currently," he says. This prompted Unicorn India to launch its Rs600 crore venture debt fund in November. Joshi expects to achieve a first close of Rs200 crore by June. Venture debt is becoming important to start-ups because equity is expensive. Besides, since start-ups deal mostly in intangible assets and can't offer physical assets as collateral, they don't have access to bank finance. Globally, venture debt is an integral part of the VC market. In India too, the asset class has been around almost as long as venture capital. Hattangdi recalls doing the country's first venture debt deal - with Secova E-Services - while working with Citibank in 2005. International VC funds had begun to enter India then. "It was obvious that venture capital was going to grow quite rapidly and since venture debt is an essential component of this market in the developed world, I thought it would emerge as an asset class in India as well," he says. So, he approached the world's largest venture debt provider, Silicon Valley Bank and set up its subsidiary, SVB India Finance, in 2008 with a capital allocation of $50 million. The early years went in evangelising the market. Gradually, as awareness grew, more companies took venture debt, expanding the market. However, the real growth has come from 2015 following the entry of Trifecta and also the correction and subsequent slowdown in the venture capital market. "Interest in venture debt is growing because equity venture cap funding has slowed down," says Unicorn's Joshi. "The correction helped people realise that equity is expensive and that they must be smarter about when to raise money and from whom," adds Khanna. Hattangdi believes "companies are learning to strike a balance between equity and debt to complete their capital structure" now. For start-ups, venture debt has several uses. Although money is fungible, companies generally use equity for R&D or long-term investments and cash burn, while debt is used more for tactical reasons like capex and working capital. The biggest uses, though, are reducing founders' and early stage investors' equity dilution and increasing the runway till the next round of equity funding by three-four months. "If a company is doing well, the additional runway helps to raise equity at a higher valuation. It also creates some contingency on the downside, particularly when the fund environment is soft," says Sharma. Take agri-marketing platform NinjaCart, which buys fruits and vegetables from some 4,000 farmers to sell to some 2,200 retailers in Bengaluru. The company has now entered Chennai and has raised Rs7 crore debt from Trifecta to build its distribution infrastructure there. "Were operationally profitable and have enough money to last for 18-24 months. But we wanted to grow faster and were thinking if we should do a fund raise to go to Chennai. But this way, most of our assets are funded through debt and we can build the business to a higher level before the next round," says Thirukumaran Nagarajan, Co-founder and CEO, Ninjacart. Meanwhile, Nasdaq-listed online travel company Yatra.com, which first took Rs25 crore venture debt in 2013 - it has already paid it off - raised another Rs100 crore from InnoVen again last year to fund its business growth and the acquisition of Air Travel Bureau. "While in the earlier stages, it is good to have only equity, when a business grows to a certain threshold it makes sense to introduce some leverage into the balance sheet," says Yatra's CFO Alok Vaish. It also helped that InnoVen disbursed the debt in a rupee and a dollar tranche (through its Singapore office). In fact, Sharma is banking on InnoVen's pan-Asia presence to act as a differentiator. InnoVen has done several transactions with companies like Yatra, Capillary and Ace Turtle, where it has provided "multi-jurisdiction" financing. "InnoVen is uniquely positioned to provide multi-jurisdiction financing to Indian companies that have a global footprint," says Sharma. The growth in venture debt is also reflected in increasing cheque sizes. InnoVen's average loan size increased to Rs22 crore in Q4 of calendar 2017 from Rs11 crore earlier, driven by more repeat business from existing clients. Trifecta's average loan size has also crept up to Rs15 crore today from Rs10 crore in 2015. Venture debt firms typically provide three-year loans and charge interest rates ranging from 14 per cent to 18 per cent with monthly repayments of principal and interest. Venture debt has seniority over other debt, and is secured with a pledge against the start-ups' brand or intellectual property or a lien on the fixed assets. In addition, the funds build an equity kicker into every deal in the form of share warrants that may be linked to the last-round valuation or issued at a discount to the next round's valuation. This beefs up the fund's internal rate of return (IRR), making it more attractive to investors. Still, are the funds taking equity-like risks for fixed income-like returns? Not really, say the players. "If run correctly, counter-intuitively, venture debt can be a fairly safe product," says Hattangdi. According to Khanna, globally venture debt has loss ratios of 2-4 per cent, unlike 30 per cent in venture capital. That's why conservative institutional investors like insurance and pension funds are comfortable investing in it. At Trifecta, only some Rs5-6 crore or 1.5 per cent of the roughly Rs400 crore disbursement is currently impaired, he says. Besides, the venture debt players manage the risk in various ways. For one, as Khanna says, they "dont take a long duration risk. Essentially what you're doing is financing the company through at least one more milestone." Adds Hattangdi: "VCs take a binary risk and look at how their investment will grow in multiples. Our outlook is more short term and depends on whether or not the company will be able to raise the next round of funding and make principal and interest payments. So, venture debt can give returns independently of whether or not the VC has made money or got an exit." Then, there's timing. Apart from evaluating the companies on factors like the founders, uniqueness of the business model, customer base, business pipeline and visibility of cash flows, the firms only invest in growth-stage companies that have raised at least Series A funding. "While we play in the venture ecosystem, we dont take concept risk but will come in after the company has already raised a round of funding, established some vintage and shown that its business model is working," says Khanna. That's why venture debt firms work closely with VC firms. Says Sharma: "The quality of the investors and their thesis on the company/sector and support are also an important part of the overall underwriting." Still, IvyCap's Gupta is clear that he won't finance Series A companies like other funds but will only do venture debt from Series C onwards. "At Series C, you have taken out a lot of risk but you have opportunity from a cash flow perspective. Also, there's a sudden vacuum with companies struggling for capital. So venture debt becomes relevant at that stage," he says. That's why hes looking at cheque sizes of Rs20-25 crore on average. And like in IvyCap's venture capital funds, he expects a strong deal flow through the IIT alumni network besides access to resources for portfolio companies. In contrast, Unicorn's venture debt fund will focus on early-stage start-ups "provided they are backed by VCs", says Joshi. Both Unicorn and IvyCap are clear, however, that they won't necessarily lend to their existing portfolio companies. Instead, they're building Chinese walls between the venture equity and debt funds with separate teams, investment committees, et al. "If any of our companies raises debt, our venture debt fund can look at it but it will be strictly on merit," says Joshi. If the demand from founders for venture debt is growing, institutional investors are also finding it attractive. These include banks, insurance and pension funds, and large family offices. Trifecta was the early mover here when it got RBL Bank as an anchor investor. It now has three banks, 13 insurance companies, two development finance institutions including Sidbi, and around six large family offices as limited partners (LP). "We have created an asset class out of what was a boutique industry so that Indian institutions can access this as a product," says Khanna. He's now in talks with international development financial institutions to bring in dollar capital into his second fund. "If we can get high quality offshore money, it will be a nice path to scaling the business," he says. Similarly, Hattangdi has roped in IndusInd Bank as an anchor investor in Alteria. "IndusInd wanted to be in the impact investing space and was keen to channel capital to MSMEs and start-ups. We can help it access these companies and de-risk its engagement model with them," he says, adding that there's emergence of strong demand from domestic players for high quality assets like venture debt. That's because venture debt funds can generate IRRs in the mid- to high-teens. "Unlike venture cap funds where there is no distribution till the fund is seven or eight years old, we have been distributing income from our first quarter in December 2015," says Khanna. Trifecta is currently distributing 3 per cent returns every quarter, post-fees and expenses - and that's minus the 40 per cent mark-up it has registered on its equity options. Khanna is also using the institutional money to differentiate his offering. "When we invest in a company, we also have the option to bring in a bank or an NBFC, which could come in with debt of a slightly different colour. Besides what we can do for a company, our LPs can do more and founders love that," he says. For instance, Trifecta connected BigBasket with a couple of banks for its agri-finance chain. In another portfolio company, Cashify, a platform for exchanging mobile phones, RBL Bank came in to provide working capital finance. Going forward, venture debt's growth will be linked to the growth and health of the venture capital market. The players are also looking to scale up alongside their portfolio companies besides offering new uses for venture debt. Trifecta's Khanna says: "We've had multiple top-up rounds of financing. The idea is to be the preferred partner and evolve your solutions as these companies scale. So today if they want working capital, tomorrow they may need acquisition finance and then, pre-IPO finance." He expects M&As to emerge as a "big use case" and is currently closing a deal where the start-up will use venture debt to fund two acquisitions. Trifecta plans to add an M&A advisory practice over the coming year. "We want to deepen access to capital for the new economy. The archetype for us is less a pure asset management business and more a financial institution that has multiple products and services focused on the new economy. One day, I should be able to say that 'we also do venture debt'," he says. The players, however, sound a note of caution as fresh venture debt supply comes in since a few bad deals could spoil the nascent market. "Well have to see how the dynamics play out. Our hope is that the market will expand faster than it has historically or we'll see a situation of too much money chasing limited opportunities, which can sometimes lead to sub-optimal risk-return for the industry," says Sharma. Adds Hattangdi: "The pace of growth will be dictated by the quality of deals." But thats not stopping the players from stepping on the growth runway.